Layton Park is the Back Road Scholar. After selling most his business interests in Grande Prairie, Alberta Layton and his family moved to Kelowna, British Columbia where he became a speaker, author and humorist. 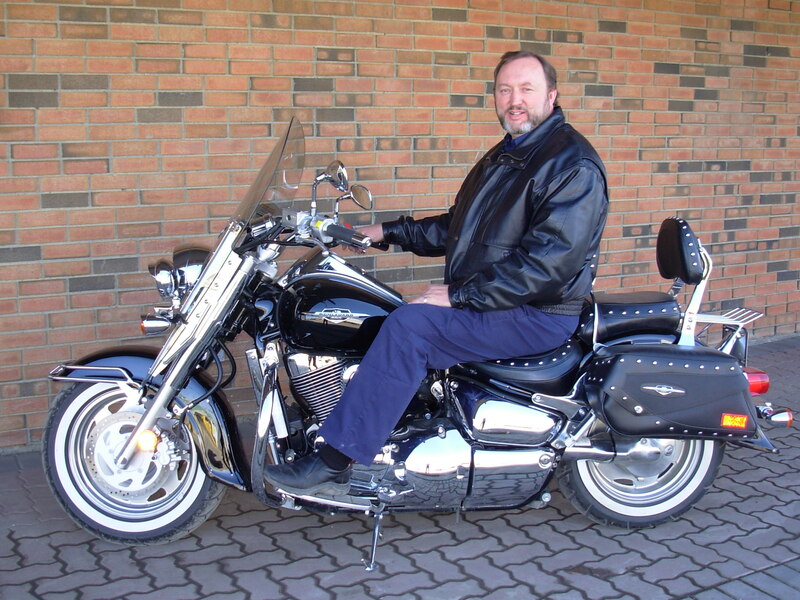 Layton writes a regular column for the motorcycle periodical the Busted Knuckle Chronicles. 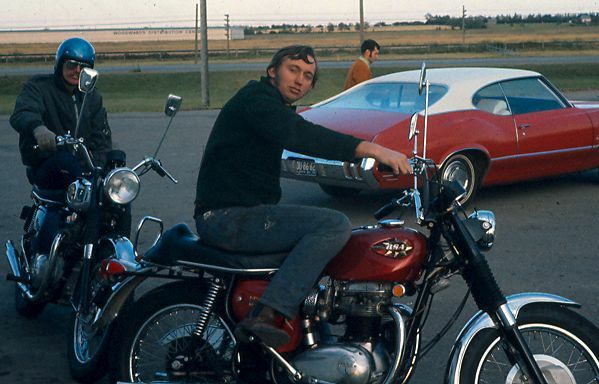 Layton started riding in 1964, became licensed in 1965 and has been riding since. Layton began riding at 12 then got his first bike in 1965, a white Honda 90, boy was it a big bike, most his friends had 50 cubs or 65 sports. He is seen here on the left with friends as they prepared to go out on a Rocky Mountain House adventure. We didn’t have loud pipes so you can see we rode with guns. I miss some traditions. The following year Layton moved up big time to a Honda 90 super sport and you can see the wildness beginning to emerge. Late in the 60’s he rode a number of British bikes preferring his BSA. Check out the cool mirrors. It was cheaper than ape hangers but looked similar as you cruised down the road. Today, Layton loves riding either his C90T Boulevard or the K1200LS BMW touring bike logging about 20,000 kilometers a year between them. 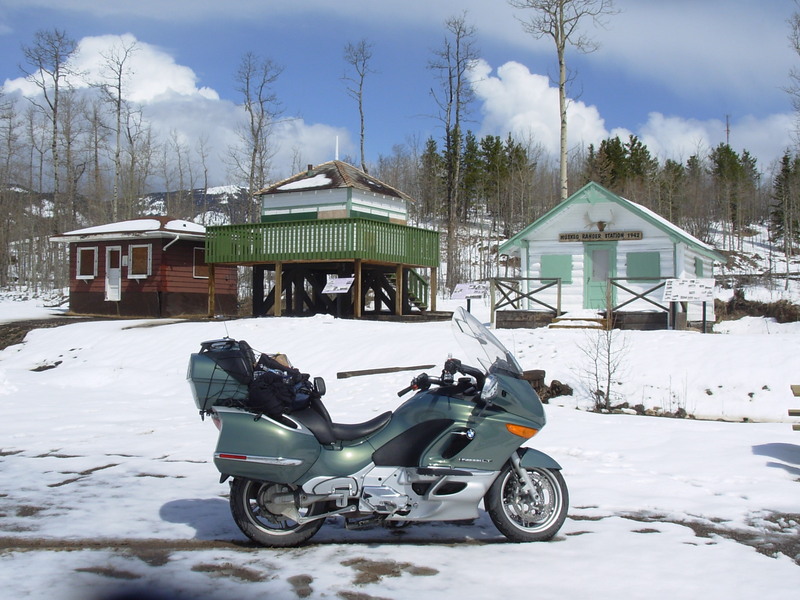 He rides once a month from Grande Prairie to Kelowna beginning in April and ending when the snow comes in October. In Kelowna he tries to ride year around and is often successful. One of his real joys is riding with his Son Liam who rides a 400 Yamaha or riding down to Eastern Oregon University to see his oldest son’s foot ball team play. Both boys give him ample reason to ride and the wife (as she is known in the column) has her own bike often likes to ride along as well. Although her sense of adventure has taken her to norther Spain where she road an 800 plus pilgrimage trail on a bicycle. Layton’s reaction… no motor, I ain’t going. Layton’s current goal is to fill in the map on his back by riding in all the provinces, States and Territories. If you see him on the road, be careful or you may wind up in a story. If you like the stories here contact him about his books which have a collection of various stories, they make great presents and if ordered in quantities of more than 50 (for staff and customers) we can have your name put on the cover. Just curious, Ray Bott is in the middle but who is the third guy in your friends,bikes and guns picture? The fellow is Brian Chapel. Haven’t seen him in over 40 years if anyone knows his whereabouts have him contact me!